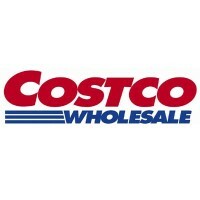 Currently a top American corporation operating throughout the globe, Costco Wholesale Corporation, or Costco, is one of the biggest retailers in the world. It serves a wide variety of quality products to individuals from all walks of life. The first establishment of the company was founded in 1976, which was then under the Price Club name. The expansion of the company has prospered, and in 1983, the first Costco warehouse opened in Seattle. Costco and Price Club merged in 1993 and became PriceCostco. The name was finally changed to Costco Wholesale Corporation in 1997, and following suit, all of its other establishments were renamed. Costco became an instant success in less than six years. In fact, they were the first company to grow from zero to $3 billion in sales. Now, the company has more than 740 warehouses operating across the globe, and it remains one of the most competitive retailing company. The company provides its employees with excellent benefits and compensations. They give affordable insurances including 401(k) plan, medical coverage, and other health and wellness benefits. Working in the company is a joy for many of its employees. With many stating that their work place is a perfect balance of fun and professional, while also allowing growth in the career paths of the workers. Furthermore, the competitive benefits and coverage as well as the productive environment are what employees enjoy most. How old do you have to be to work at COSTCO? You need to be at least 18 years old to become eligible for any position in the company. The company’s career opportunities are centered on the warehouse setting, dealing with merchandising and operations. The company, however, also offers numerous opportunities in their Home and Regional Offices for those who have professional experiences. Cashier: They are responsible for processing customer orders, receiving payments, giving accurate changes, and operating on a cash register. Cashiers are also tasked to cater to the customers’ needs, greet the customers, and answer queries and concerns. Stocker: They pack merchandises appropriately, arrange the products, and stacks packages. They also perform all-around duties in the establishment, including cleaning up aisles and lifting. Cashier Assistant: Cashier assistants are responsible for packing customers’ products into boxes and containers, transferring the orders to carts, performing clean-ups, fetching for products, and treating customers with excellent service. Assistant Manager: They serve as a support to the Manager and perform the same duties and tasks. They lead the whole team and monitor the procedures in a single establishment. Their duties include directing and assigning responsibilities to employees, ensuring company standards are met, and providing quality service to customers. General Manager: Managers are responsible for monitoring and leading all the operations in an establishment. Their duties include overseeing operations, people development, customer service, and financial controls. They ensure that everyone and everything meets the company’s standards and production goals. Food Service Assistant: They are responsible for preparing and selling the foods and drinks. Their duties also include ensuring a clean and sanitized kitchen and dining areas, customer satisfaction is attained, and all products meet quality standards. Bakery Wrapper: They are tasked to perform duties in the bakery section. They decorate, weigh, label, arrange, and merchandise the company’s bakery products. Duties also include clean-up, customer service, and stocking merchandises. Service Deli Assistant: They usually operate in the foods section. They prepare, package, label, and serve meals, salads, entrees, ribs, sushi, chicken, sliced meats, and cheeses. They also ensure that merchandises meet company’s quality standards. Guard: Guards perform security measures, regulate peace and order, and ensures safety for everyone. They monitor ths people going in and out of the establishment, greet customers, and answer to certain issues and concerns. Member Assistant: They are tasked to instruct customers about memberships and credit programs. They process sign ups of new members, renewals of old members, and even added cards of existing members. They also inform customers of product’s availability. You may apply to certain positions through inquiring and going directly to an establishment or through the online application. You have to provide personal information including relevant work experiences and skills. You may start the application process online through the company’s website. You can input your personal information and resume online, access available positions, and see the nearest establishments in your area. If you prefer the more convenient process, the online application is perfect for you. Filing out the forms and submitting them are much easier. However, if you want to personally show your presence and your endearing characteristics to the hiring managers, going directly to an establishment would be the best choice. A great resume would include all the necessary information when it comes to your related work experience and qualities that are relevant to your desired position. Let the resume be a means for you to show how suited you are to the career position. During the interview process, you need have confidence and professionalism. Try to show your personality and endearing qualities to the manager. Talk genuinely and use your voice to explain what you can bring to the company. The company continues to uphold its operating philosophy. It aims to serve its members quality merchandises and services at an affordable cost. The company’s success is also based in the strength of its work force, that’s why it gathers competitive individuals who can bring a lot to the table. The company has recently expanded as its first establishment in Fairbanks opened. It replaces the old Sam’s Club store, and aims to bring its services and memberships to the people of Fairbanks. The company is known as the largest retailing company in the whole world. It offers wide variety of merchandises and services to its members, and remains abiding to its standards of quality and health. Costco ensures that all the processes and merchandises meet the highest standards of social and ethical responsibility. It ensures all the products are produced without disregarding environmental standards. Furthermore, it ensures fairness and inclusion to both its members and its employees. 1 How old do you have to be to work at COSTCO?